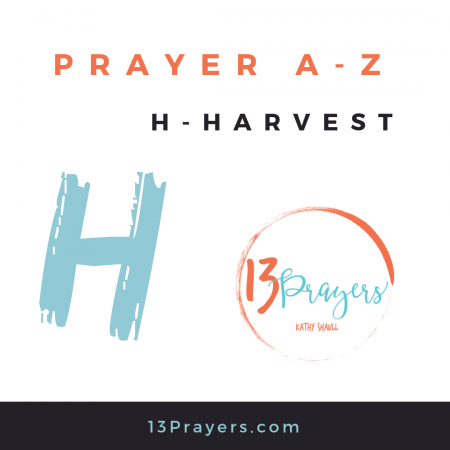 Harvest is the latest post in my 2019 series Prayer A-Z. You can find the other posts here. Jesus said in Matthew 9:37, "The harvest is plentiful but the workers are few. Ask the Lord of the harvest, therefore, to send out workers into His harvest field." I grew up in SW Oklahoma, around cotton and wheat fields. 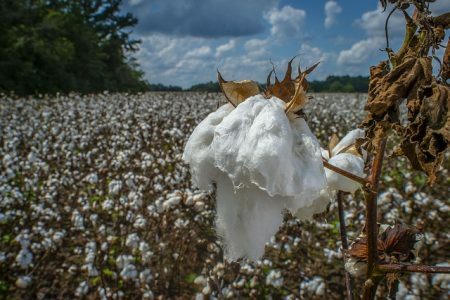 There is nothing more beautiful, in my opinion, than the sea of white cotton on green plants in a brown field. The "waving wheat can sure" make my heart sing. But then comes the harvest - and the harvesters arrive. More memorable with wheat than cotton are the giant combines that slow traffic to a crawl, but they can sure pick the field clean. I have many friends who eagerly waited until they were old enough to go on these cross-country treks. 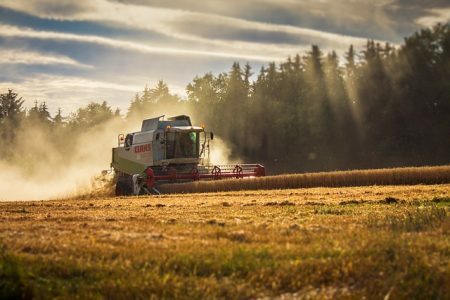 This harvest is what we are called to participate in - except the crop isn't wheat. It's human souls. Jesus Himself commanded us to pray for more help for this all-important harvest. Praying for help to come - for others to harvest is easy. But actually going out and asking people if they know how they will spend eternity? That's a lot harder. We find excuses. We put if off. Jesus said (John 4:35) "...I tell you, open your eyes and look at the fields! They are ripe for harvest." We say we don't know how or who. Again, Christ said (John 4:38) "I sent you to reap what you have not worked for. 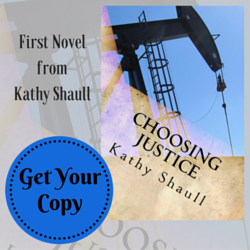 Others have done the hard work, and you have reaped the benefits of their labor." It's hard to harvest if you stay in your Comfort Zone. Stepping out of the Zone means stepping out in faith. And, TBH, you'll get far better results from your harvest if you let God drive where you go, who you speak to, and what you say. Bathe your time in prayer! 1. Because we are commanded to do so. (see the verse above) But also in Christ's Great Commission in Matt. 28:19-20, "Therefore, go and make disciples of all nations, baptizing them in the name of the Father and of the Son and of the Holy Spirit, and teaching them to obey everything I have commanded you. And surely I am with you always, to the very end of the age." Mark 16 tells us that after Jesus spoke these final words to the disciples, He was taken up to Heaven and then sat at the right hand of God. So, since these are the final words He spoke, we should value their importance. 2. We benefit, too. Galatians 6:7-10 says, "Do not be deceived: God cannot be mocked. A man reaps what he sows. The one who sows to please his sinful nature, from that nature will reap destruction; the one who sows to please the Spirit, from the Spirit will reap eternal life. Let us not become weary in doing good, for at the proper time we will reap a harvest if we do not give up. Therefore, as we have opportunity, let us do good to all people, especially to those who beliong to the family of believers." Step out of your Comfort Zone and work on the harvest in the way God leads you - and you will reap a harvest as well. Father God, prepare a flood of souls for the harvest. Prepare as well an army of workers. Bless every word and deed, every step, every call so that all may be saved and come to know the glorious mercy of Your faithful love. Thanks for stopping by today. All Prayer A-Z posts can be found here.